We have the expertise and experience to offer our clients with a qualitative range of Plain Industrial Weave Wire Mesh. In this weave, one wire always binds one shut wire and vice-versa. These weaves exhibit rigid form of binding, exact mesh opening. Our range is offered to clients from different industries and is in accordance with ISI standards. We have in our repertoire a qualitative range of Dutch Industrial Weave Wire Mesh. These Dutch Wire Weaves have a binding that is similar to plain weaves with shut wires wrapped up quite close and wraps wires being are further apart. The warp wires in these weaves are heavier then shut wires, which enables our product especially suited for filters and centrifugal application. Additionally, it is mainly used as industrial filter cloth and apparatus of separation. We are one of the leading manufacturers, supplier, exporters and stockist of Twill Dutch Weave Wire Mesh in Mumbai, India. Twill Dutch weave wire mesh is the combination of Dutch weave wire mesh and twill weave wire mesh. The weft wires passes alternately over and under two warp wire forming a finer mesh in the warp direction and the warp wires forms a coarser mesh in the warp direction in the same weaving. Twill dutch weave wire mesh is superior to the twill weave wire mesh because of the finer openings. It can support greater loads than the Dutch weave wire mesh. We are one of the leading manufacturers, supplier, exporters and stockist of Dutch Weave Wire Mesh in Mumbai, India. The Plain Dutch Weave Wire Mesh or Wire filter screen is woven the same way as the plain weave wire mesh. The exception of the plain dutch weave wire mesh is that the warp wires are heavier than the shute wires. Dutch Weave wire mesh is produced by the use of coarse mesh (mesh wire, woven wire mesh, wire mesh basket) in the warp and a fine mesh with relatively smaller wire in the fill. The shape and position of the openings aid particle retention and increase filter cake formation. We are one of the leading manufacturers, supplier, exporters and stockist of Reverse Dutch Weave Wire Mesh in Mumbai, India. 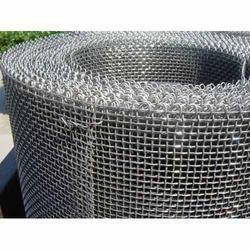 Reverse Dutch weave wire mesh is another product specially designed for filtering. 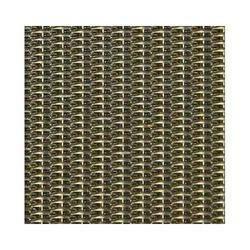 Reverse Dutch Weave is a very strong woven wire mesh. This mesh is made in a reverse twill dutch and sometimes referred to as PZ and KPZ Mesh. The same weave as Plain Dutch except the warp and shute wires are reversed; i.e., the warp wires have a smaller diameter than the shute wires. The reverse dutch weave wire mesh has chemical stability for filtering. We are one of the leading manufacturers, supplier, exporters and stockist of Plain Weave Wire Mesh in Mumbai, India. Plain Weave Wire Mesh is the most commonly used weave. Plain Weave Wire Mesh has a square opening that's why it is also called as Square Wire Mesh. Each weft wire passes alternately over and under each warp wire and vice versa. Warp and weft wire diameters are generally the same. Plain weave wire meshes are available with apertures from 10.7mm (2 mesh) to 0.05mm (325 mesh). Plain Weave wire mesh could be Woven and Welded. Looking for Weave Wire Mesh ?